Today’s property owner faces the continuous challenge of meeting new requirements and responsibilities in managing their valuable investment profitability. 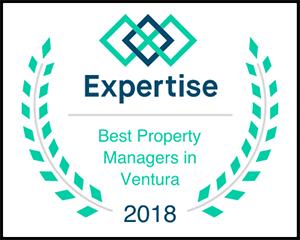 American Investments Property Management can provide the expert management your property deserves. As experienced professionals, we can ensure you the maximum net return from your property, based on its highest and best use. Monitor all income and debit activity from your account, explaining amount received explanation of debit and income and maintain a monthly running balance. Owners have the option of automatically deducting from their accounts mortgage payments, property taxes, insurance, repairs, and owner funds. Coordinate and dispense all repair work to quality contractors. Work in close connection to all contractors for quality control and efficient follow through. For repairs, monies are deducted from the owners account. For repairs exceeding $200.00 owners will be notified to receive authorization. When property is vacated, all repairs and necessary cleaning is coordinated through American Investments Property Management. All rents are collected on a monthly basis by the 5th day of each month. Timely payment is recorded and supervised by the property manager. If needed, our company works in collaboration with eviction services who has an attorney on staff. American Investments Property Management schedules utilities to be turned on and off for coordinating maintenance and viewing of the property. To secure and maintain the greatest net return possible at minimal cost over the life of the asset. To maintain good working relationships between management, clients and tenants. To enhance the value of the property through skillful management and well considered improvement. The activities that American Investments Property Management undertakes to accomplish these broad goals are many and diversified. Listed below are a few services available. Coordinate written rental\lease agreements and determine appropriate method and terms of such agreements. Rent collection and security deposits. Disburse expenses with vouchers through trust account and provide monthly computer generated accounting statements. Provide real estate services at our option should property be for sale or exchange. Fees charged are among the most competitive available and will vary depending on the amount of services you request or require, for the Management Program you feel best suits your needs. We look forward to introducing you to our complete property management services, each diversified enough to best serve your individual needs. Answer: We utilize many resources when marketing your property. We place ads with local papers. We also post ads on our website that link up to many search engines. Plus other websites and we will place a sign at the property when appropriate. Answer: We follow the guidelines provided by California Landlord/tenant law. We qualify on the following: Credit, Landlord, and Employment. Plus a criminal background check. Answer: we do a comprehensive search of similar properties in your community. We compare like properties and included amenities side by side with your home. Based on our extensive knowledge and experience with Ventura County area, we are able to determine the right price that will help your home to rent quickly. Answer: There are many factors that contribute to a property’s value. Location, price and condition of the home play the largest role. It is difficult to say that your home will rent in a specific timeframe but if your property is in good condition, in a good neighborhood and priced right, it should rent quickly. A typical home will rent in 45 days on average. It could rent in a week or it may take longer than the average based on market conditions and other factors as we mentioned above. Answer: We believe there are four main benefits in owning investment property. -Tax Savings: Tax laws may provide a shelter for depreciation. -Appreciation: Over the past twenty years, homes in the Ventura County area have increased in value by an average of 8% or more per year. Answer: Our tenants have the option of emailing, faxing or calling in a non-emergency maintenance request. Our vendors are required to contact the tenant within a 48-hour window. The vendor will inspect the problem and provide a quote while onsite. If the cost is more than $250.00. We will seek the approval of our client before doing work. If the tenant has an emergency maintenance issue, they are instructed to call our 24-hour cell. We return those calls within 1 hour. These issues typically require immediate approval. You may not be notified until the following business day. How often do you check on my property? Answer: We can do annual surveys once per year. $75.00 fee. We drive by every property once every three months. If the exterior of the home has changed from the last time we visited, we will immediately schedule a survey. Answer: Our agreements are for 1 year. That is the standard in our industry. Answer: We can pay the following: Mortgages, insurances, HOA fees, utilities, property taxes and more. Answer: Our fees are set at 8% for a single family dwelling. Our rates are negotiable for multiple units and doors. In many cases, we do not charge leasing fees or vacancy fees.